Enjoy the best inspirational, motivational, positive, funny and famous quotes by Alvin Curran. Use words and picture quotations to push forward and inspire you keep going in life! Improvisation is the art of becoming sound. It is the only art in which a human being can and must become the music he or she is making. 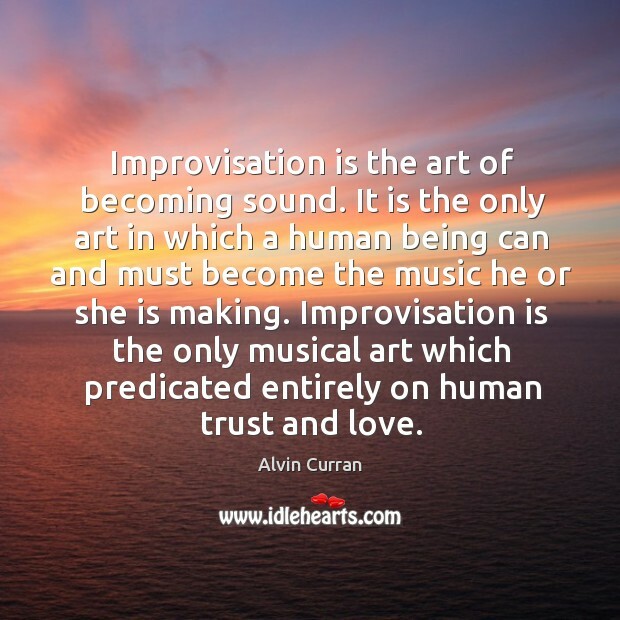 Improvisation is the only musical art which predicated entirely on human trust and love.